Top 20 Herbs and Foods to Beat Inflammation Once and for All! Home > Health News > Top 20 Herbs and Foods to Beat Inflammation Once and for All! If you have been plagued with inflammation but don’t want to take any NSAIDs at the risk of all their side effects, you should be aware that there are plenty of other natural means to help rid the body of inflammation. Many different things cause inflammation, since inflammation is a natural response to damage that has occurred to the body, or when a certain part of the body becomes irritated or overused, or when the immune system believes that the body has been invaded by some foreign substance. In and of itself, inflammation is not a bad thing. It’s a necessary and protective response by your immune system to deal with short term damage. For example, if you sprain your ankle, this will cause acute inflammation, which will leave you with redness, swelling, pain, and immobility. Although this might be painful and annoying, it’s your body’s way of sending large amounts of new blood cells fluid, and other repair agents to the damaged area to remove damaged cells and tissue and build new ones. When inflammation goes from acute to chronic, that is when the problem arises. Inflammation is supposed to be an initial response, and then it fades and lets other healing processes take over. When inflammation lasts longer than just a “first response” type of reaction, you begin to see other reactions in the body such as a lowered immune system response, degenerative diseases, and even deadly diseases such as cancer. This is why you should never take inflammation lying down, so to speak. It can cause the body serious long term damage if left unattended. 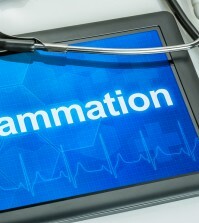 Chronic inflammation can be systemic or localized. System inflammation is seen in diseases such as heart disease, Crohn’s disease, and Celiac disease. Localized inflammation can be arthritis of the hands, for example, IBD, or cirrhosis of the liver. There are plenty of natural ways you can help to reduce and even eliminate inflammation in the body. Keep reading and find out the top 10 herbs and best 10 foods you can consume to help reduce inflammation every single day. 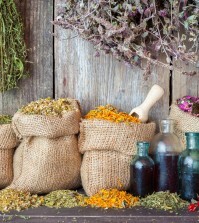 The number of herbs that will help reduce inflammation are almost too numerous to mention. We have made a list of the top 10 that do an outstanding job of fighting inflammation. Most people immediately think of candy when they think of licorice, but it can actually be added to many meat and vegetable dishes for a unique flavor combination. It also makes an excellent tea. Licorice is also a natural antidepressant that works wonders at fighting inflammation in the body since it is loaded with flavonoids. Licorice root can be used to treat liver problems, arthritis, dental issues, and viral infections. Grown almost everywhere in the world, rosemary can be used in almost every food dish, and can also be made into a tasty tea. Rosemary has strong diaphoretic and tonic effects; this is another herb that is loaded with flavonoids, which makes it a very efficient anti-inflammatory. Be careful not to consume too much of this herb as it can block the absorption of iron, which won’t cause anemia in and of itself, but it can worsen preexisting conditions. 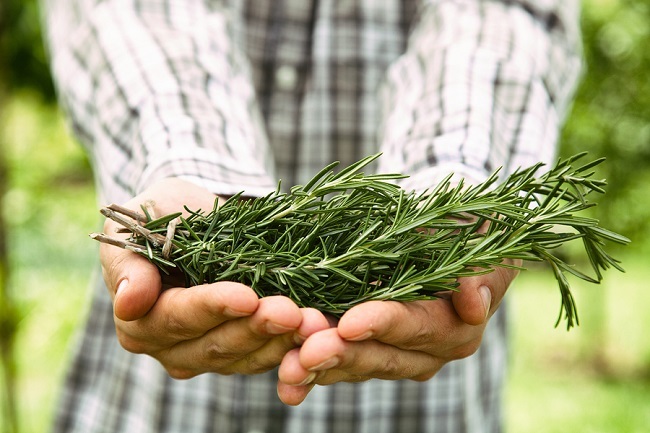 If you are anemic or are pregnant, you should consult your doctor before using rosemary. Who doesn’t just adore the taste of cinnamon? The good news here is that cinnamon can work wonders for the body by reducing its inflammatory responses. Studies done on animals show that cinnamon can reduce inflammation and fight unwanted bacteria. If you are taking blood thinners or heart medication you should consult your doctor before consuming large amounts of cinnamon supplements. Adding some to your oatmeal or coffee shouldn’t be a problem, but if you are taking any prescription medications, it’s always best to check with your doctor first. This fragrant herb that most of us associate with Italian food or salads is a terrific anti-inflammatory. Basil inhibits the same enzyme that is blocked by over the counter NAIDS such as ibuprofen. The main ingredient in basil is called eugenol, which gives this herb its powerful anti-anti-inflammatory compounds. One study published in 2003 in the Journal of Microbiology Methods showed that basil can stop certain types of bacteria that tend to cause inflammation in the body. Although you might think that this spice is the exact opposite of what you want, the heat that cayenne pepper produces actually reduces the heat of inflammation in the body when consumed. Cayenne, along with other types of hot peppers, contains capsaicin, which blocks the COX-2 enzyme that causes an inflammatory response in the body. COX-2 is most often associated with arthritis and other types of inflammatory diseases. Read more about cayenne benefits.